This week we got a card sketch. I decided that this would make a very pretty, clean and simple layout. I love the outcome...seeing that DH is not scrapped very often..LOL! in all the layout and cards that the DT has waiting for you! that can be "won" by a random draw for every layout submitted with this sketch! 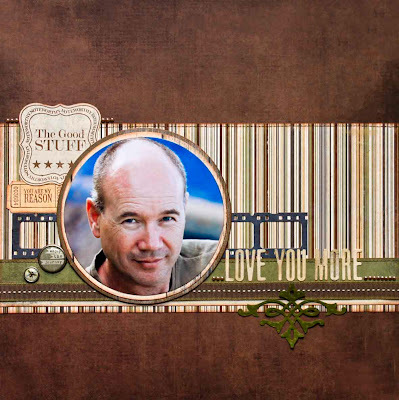 Visit Scrapbook Studio BY CLICKING HERE. Hello Elizna!!! 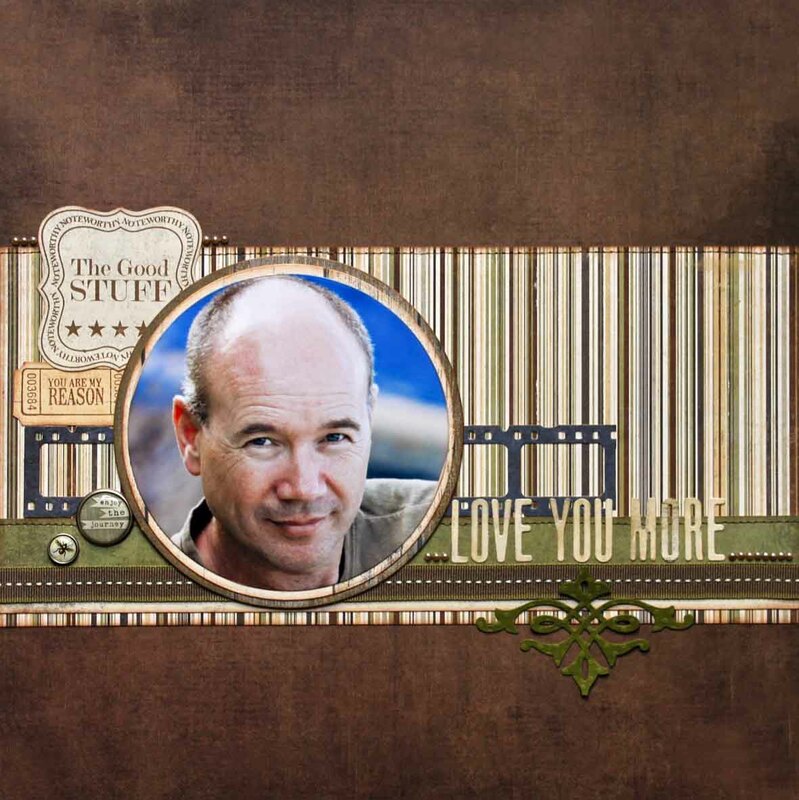 Congratulations on making Scrapbook Studios DT!Always love meeting new scrappers and am looking forward to seeing your work!